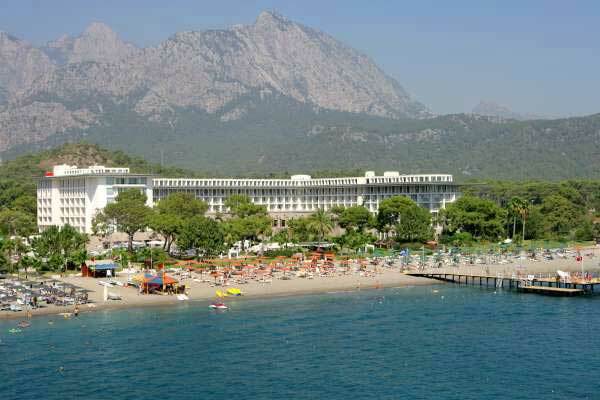 The Kilikya Palace Hotel is situated in Goynuk, Kemer is just 9 km, Antalya airport 45 km away. 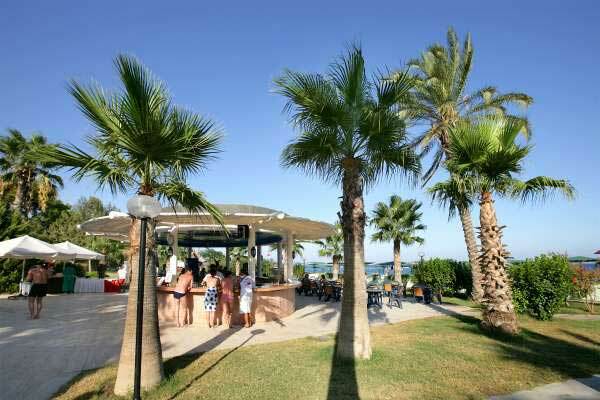 Reception, lobby, main restaurant, 3 a la carte restaurants ( Italian, Fish, Mexican), bars, outdoor swimming with children's section, indoor pool, meeting rooms. Turkish bath, sauna, jacuzzi, fitness, animation, cinema, library, disco,table tenis, mini football,basketball, beach volleyball, water ball,aerobic, darts, tenis courts, tennis racket and balls with deposit, draughts, padello, canoe, windsurfing-licence required. Massage, hairdreser, market, laundry, dry cleaning,water sports,lightning of the tenis courts, billiards. 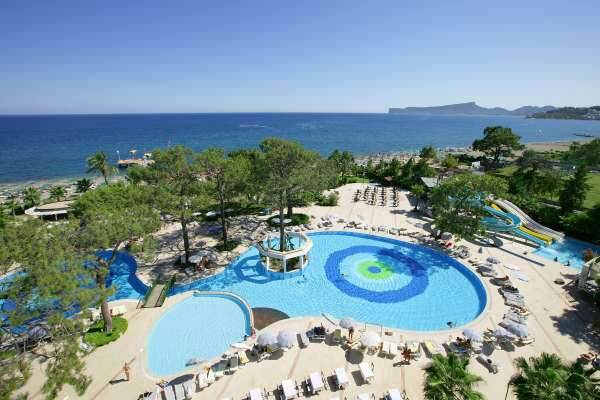 Central air-conditioning, bathroom with bathtub and hairdryer, telephone, TV, minibar(refilled daily), safe, balcony, carpet. Situated directly on the beach. Sunbeds, umbrellas, beach towels and mattresses available. Unlimited soft and alcoholic local drinks and some imported drinks 24 hours a day. Dinner in a la carte restaurant (once per stay). Snacks in the afternoon, tea time, pancakes, midnight buffet, room service (24.00-07.00).